When a situation arises requiring HR to launch an investigation,it is often a crisis. Reacting without forethought in the heat of the moment can lead to rushed, unplanned and ultimately less effective investigations that can even make the situation worse. Understanding how to ask the right questions in the right way, preserve evidence and avoid pitfalls is key to successful outcomes that avoid the creation of claims of discrimination or retaliation. 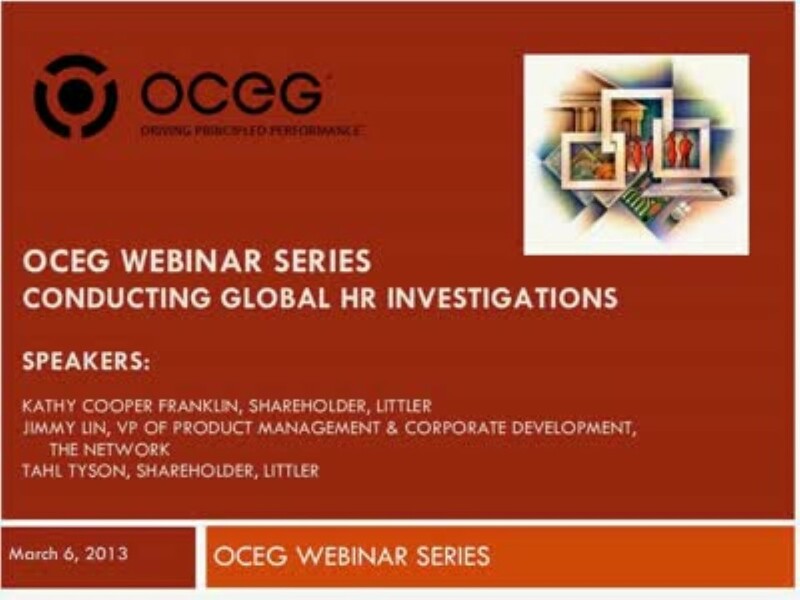 We have emailed instructions to access Conducting Global HR Investigations Slide Deck to . Make sure the email arrives in your inbox: either add "support@oceg.org" as a safe sender to your email platform, or if you use Gmail, drag our email into your Primary tab.